DealPulp is offering a hot deal today. 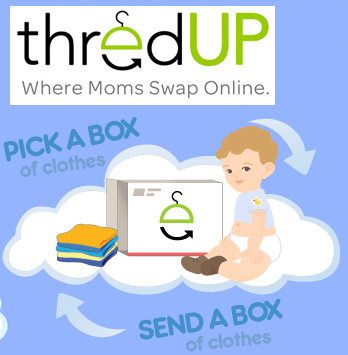 For only $6, you can get a voucher for a box of gently-used children’s clothing from ThredUp. But wait, it gets even better! If you’ve not ordered from DealPulp before and you sign up through this link, you should get a $5 credit added to your account, making the box of children’s clothing only $1 shipped to your door! I’ve never used ThredUp before but I've heard that if you pay attention to the descriptions you can get some pretty nice items. Each box contains an average of 15 items and many have name-brand clothing in them. For $1 per box, you can’t go wrong. Note: If you signed up and didn’t get a $5 credit, you can contact DealPulp and they will manually add the credit to your account. Also, there is no need to send a box of clothing to ThredUp, this credit is for a no strings attached box. Monday: Leftover Baked Potato Soup with Crumbled Bacon, Cheddar Cheese, Sour Cream & Chives. #272. A welcomed warm weather weekend. #273. Playing outside all afternoon. #274. No coats, hats, or even jackets. #275. Not worrying about if anyone was getting too cold. #276. Catching up with neighbor/friends. #278. Baby friends sitting on a grassy hill together. #279. All the kids in bed by 7:45. #280. Climbing into bed myself at a record 7:59! ... Emahry is quietly taking care of her "babies"
:: Are you or someone you love in a season of singleness? Be encouraged by Monica's post on Waiting Gracefully: Guard Yourself. What a huge responsibility to teach this to our children. :: If you use disposable baby wipes or make-up removing cloths, you'll want to check out this Homemade Organic Baby Wipes Tutorial @ white house, black shutters. 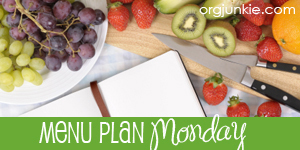 :: Looking for some healthy breakfast options for your family? 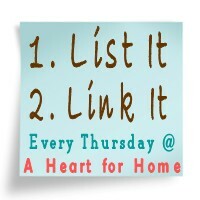 There are some good ideas plus a Whole Wheat Buttermilk Waffle Recipe @ Keeper of the Home. Also add variety to your oatmeal with inspiration from Kath Eats Real Food's Tribute to Oatmeal (after the first 35 or so photos there are links to a huge variety of oatmeal recipes.) 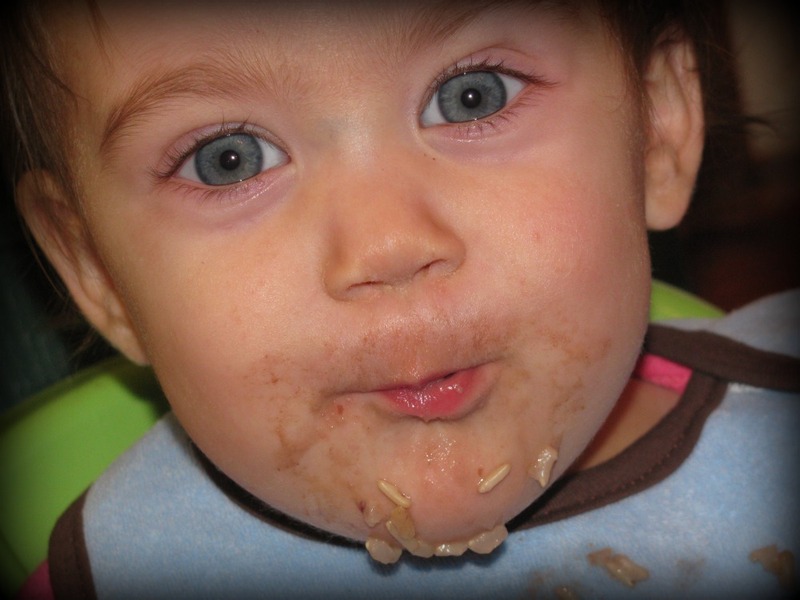 This girl really likes her oatmeal! Have you stumbled upon any good reads this week? Leave us a link in your comment so we can read to. How many times have you been consciously thankful for your vacuum cleaner? This morning I took the time to shake out a small area rug. Then, just for kicks, I draped it over the porch rail and beat it with a large stick. I was amazed at how much more dust went flying into the air. When I brought the rug back inside, I decided to run the vacuum over it just to see if there was any dirt left. I was sure the shaking and beating would have removed almost all of the remnants of our playground days and muddy shoes. But, do you know what? The vacuum attacked the rug as though I hadn't even bothered to clean it. I sure am glad that modern rugs are also accompanied by the modern vacuum cleaner! Visit Desi @ WeeShare for a great list of Free Downloadable/Printable Subway Art Prints. Many of the bloggers that offer these free downloads also have other varieties of downloadable art for free. Many of these prints would make great year-round or seasonal decor. They would also be a great inexpensive gift for someone special. Simple purchase an inexpensive frame, print the art, place it in the frame and pass it on with a heartfelt note. Have you found any blogs that offer useful or beautiful free downloads? Please, leave a link in the comments section so we can check them out. I read this idea on Money Saving Mom and love the concept of scheduling one DIY project for each month. These are all projects I've (we've) never done before. We'll update you as we complete each one. January: Make Homemade Soft Pretzels ~ We made these last weekend. We'll be posting our experiment results soon. February: Make Cake Balls (or Cake Truffles) ~ I have some Cherry Flavored Morsels that will be great for Valentine's Day. March: Make Split Pea Shamrock Bean Bags ~ My first attempt at sewing vinyl. May: Make at least one Toddler or Twin Sized Wide Striped Quilt ~ I'm hoping this isn't too ambitious! June: Make 3-Tiered Skirts for the Girls ~ Since we can't seem to find skirts long enough. July: Create a Space for the Kids' Artwork ~ Maybe something like this. August: Make something using Glue Batik ~ I'm thinking t-shirts & onesies. September: Make something using a Freezer Paper Stencil ~ Probably another t-shirt, maybe as a Christmas present. October: Make an Indoor Sensory Box ~ Just in time for cooler weather and inside play. November: Make Snowman Handprint Ornaments ~ Finally! December: Make Homemade Marshmallows ~ If they turn out well, we'll pair them with some hot chocolate mix and pass them out to our neighbors. Are you planning any first time DIY projects for this year? We'd love to hear about them. Right now, you can create a Snapily account and automatically receive a $3 credit. This credit can be used towards unique 3D and animated flip style photos, cards, bookmarks and more. Tonight we had a new beans and rice meal. I really enjoyed it. So did Jonathan and Eliya. Tim and Emahry aren't feeling the greatest so they we're overly thrilled with it. I'm hoping next time we'll all enjoy it. This recipe could easily serve 6 adults (we have plenty of leftovers) and cost less than $6 to make. The inspiration comes from Stephanie O'Dea's Coconut Red Beans & Rice. This recipe is also included in her new More Make It Fast, Cook It Slow: 200 Brand-New, Budget-Friendly, Slow-Cooker Recipes. 1. 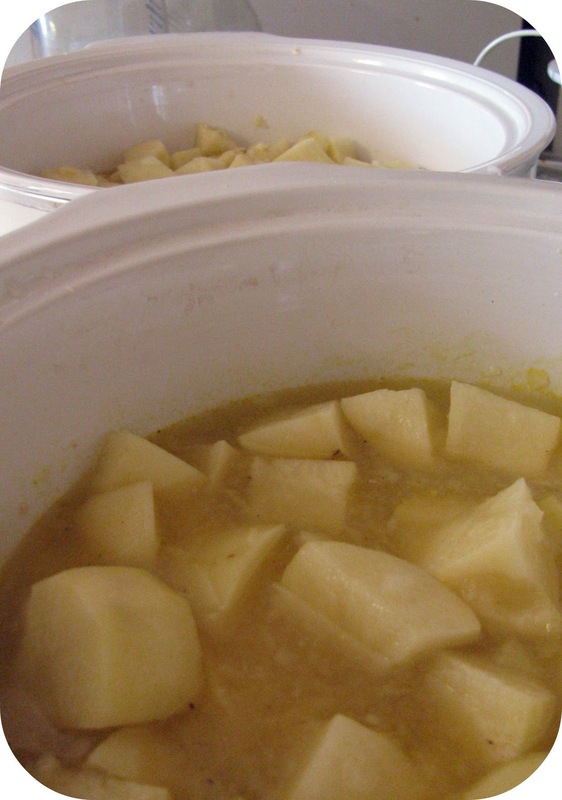 Place all ingredients (except limes) into your crock pot. We used a 4-quart crock pot. 2. Stir to incorporate all ingredients. 3. Cook on low 8-10 hours or until rice is tender. * You can easily substitute 1 1/2 cups of dry black beans (soaked overnight) for the 2 cans. Sort the beans and rinse them well. Soak rinsed beans plus 1 1/2 Tbsp lemon juice (to help with digestion) overnight in a large pot covered with water by at least two inches. In the morning, drain the water and rinse the beans. Place the beans back into the large pot, add fresh water and bring to a boil. Simmer for 20-30 minutes to help reduce the cooking time. Add the soaked & precooked (or simply soaked) beans to the crock pot and proceed with the recipe as written above. Precooked beans should be finished within the 8-10 hour time frame. Soaked but uncooked beans may take up to 12 hours on low or 5-7 hours on high to become tender. Have you tried any new recipes lately? Leave us a comment, we'd love to hear about them. Right now Vistaprint is offering the following 6 items for FREE. You'll only pay shipping. These free items would make great and inexpensive Valentine's Day gifts for those special people in your life. We've ordered from Vistaprint on several occasions and have always been pleased with their quality. #263. Little feet racing down the hall. #264. Selling unused books and finding "new" treasures to place on our shelves. #265. Snuggling together on the couch to read together. #266. Sunday morning worshiping together. #267. Emahry's joy in learning her letters. #268. Jonathan's desire to be a boy, just like Daddy. #269. Hot oatmeal breakfasts on cold mornings. #270. Watching them grow before my eyes. #271. A beautiful sunrise to remind us of His love. :: Embrace the dare to live fully by counting His One Thousand Gifts @ A Holy Experience. Watch and share the video and spread the dare. :: Are you struggling to save for a purchase or rainy day? Be encouraged by Kristin's story of One Quarter at a Time. :: Super Mom versus An Abiding Mom. Print a copy and keep it close to encourage and keep you focused on the eternity in each moment. :: I'm drooling over this Pumpkin Nutella Snack Cake...and looking for an excuse to make it. Last night, Emahry informed me that the next time I have a baby I should have two (like our neighbor/friend). I asked her if it would be nice to have a boy and a girl so that she could have another brother and another sister. ...but sometimes Jonathan throws baby dolls and drops them on their head, so maybe that isn't a good idea." Whew, I'm glad she thought that one through. What funny things have you heard recently? For the past three weeks we've been having lots of computer issues. I say we've since it's our computer, but technically Tim has done all the work of fixing the issues, "thanks, Honey!" Multiple times the issue of creating a backup for our files came up, but without wanting to spend money and a lot of time on some program to save our files we Tim simply saved the hard drive from our old computer. Then when our new computer was up and running (correctly) Tim inserted the old hard drive as well. Then today I read about Dropbox, an online backup service. Dropbox is different from a lot of other online storage programs because it is a folder right on your computer that allows you to save your files at any time. You can access your files immediately through your computer, the Dropbox website, or apps for iPhone, iPad, Andriod, or Blackberry. Dropbox also makes it easy to share files with other people. This also means that if your computer is lost, broken, or stolen you can still access your files and pictures. Dropbox gives you 2GB of storage for free. Plus if you sign up through one of these referral links, we'll both get 250 MB of extra storage for free. It's a great win-win situation! Do you use online storage? Have you tried Dropbox yet? What are some of your favorite free or inexpensive resources to teach letter sounds and recognition? Exuberant laughter floods from the living room where the little ones are wrapped up in a game of indoor soccer with Daddy. I stand at the sink, dirty dishes piled, arms deep in warm suds. I read the the words on the card nestled on the sill. "Our Father who art in heaven,"
because really what name could ever be sweeter? "Thy will be done in earth,"
"as it is in heaven." "And forgive us our debts,"
oh, Lord they are so many, how do you ever forgive so much? "as we forgive our debtors." My mind is brought back to this moment. Kid's scramble into the kitchen, searching for a snack...fifteen minutes after clearing the dinner table. I remind myself that these moments matter. I am being shaped into His likeness...so are they. the life of heaven must be begun here on earth." How are you purposing to live with an eternal focus today? Make the most of these moments, these fleeting moments. They are each a blessing if we only choose to see them. 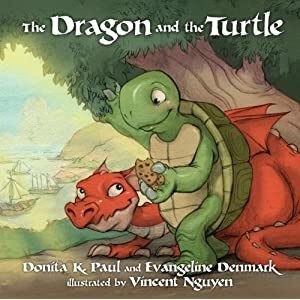 The main character in this children's book is Roger, an adorable turtle who loves the adventure of pretending to be a pirate. One day he loses his way when his imagination gets the best of him. While he searches for his home he meets Padraig, a endearing and loyal dragon. Padraig volunteers to help Roger find his way home. Padraig shows great selflessness in putting aside his own desires to help his new friend. When Padraig finally leads Roger home both boys have discovered what it truly means to be a good friend. They also see that friends don't need to be exactly alike. This book is based on Proverbs 17:17 which says: "A friend loves at all times, and a brother is born for adversity." The end of the book provides discussion points that could be shared by a parent and child. A recipe for chocolate chip snappers (Roger's favorite snack) is also included in the book. Living Social is offering a $20 gift card to Amazon.com for only $10 today. This is available in all their markets nationwide and they’ve already sold over 108,000 — and it’s only7 a.m. EST! There may be a limited number of these available so I’d suggest purchasing this sooner rather than later if you’re interested in it. Even if you don’t live in one of their markets, you can still purchase the gift card since this is an online deal. Just enter your zip code and the Amazon deal should appear. There is a limit of one gift card purchase per person. If you haven't signed up for Living Social you can use this link to get a $5 credit to your account. #248. Baking with two little helpers. #250. An entire family outing to the grocery store, oh how much easier with Daddy along. #251. An evening of fun at the neighborhood playground...without heavy winter coats. #252. Last minute baking with the whole family. #253. A free vitamin prize pack from Earth Fare. #254. 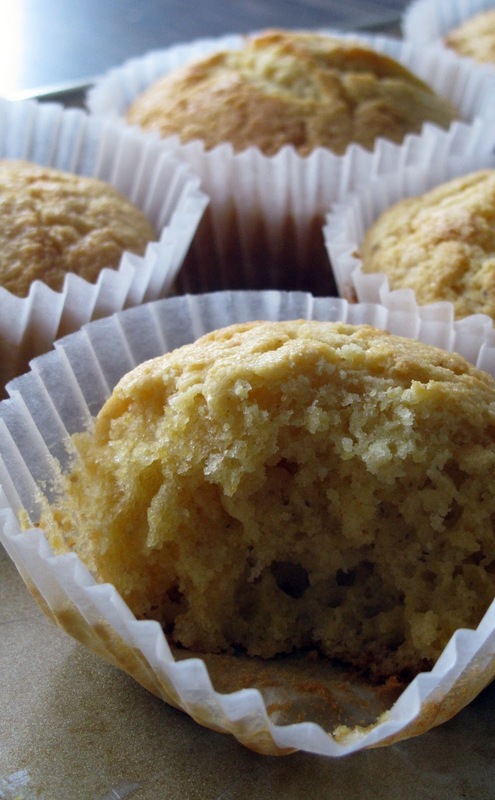 Quick and healthy banana muffins for breakfast, a welcomed start to house cleaning day. #255. Finally getting the spare room back together and organized. #256. Crafting with the kids... without things getting too messy. #257. His hand on my back during one of Eliya's middle of the night wakings. #258. Slippers with holes, worn comfortable by many days. #259. Dirty dishes, proof that we've baked together and eaten well. #260. Emahry's and Jonathan's scheduled "cookie date" with my sister today, falling right in the middle of house cleaning and the time when I'll be putting Eliya down for a nap. #261. Some time to quickly clean by myself while the children are all happily entertained or sleeping. #262. Easily keeping up with my 10 Year Journal. :: My cousin Sarah has joined Laura's 52 Weeks of Organizing. Get inspired by her first 12 weeks schedule here. Also if you haven't packed away your Christmas lights, be sure to check out this post for a great way to store them away. Our lights will definitely be stored like this from now on. :: Looking for an activity to keep your little ones happy and entertained during the long cold days of winter? Check out Pink and Green Mama's Winter Rice Sensory Box. I really need to get over my fear of rice everywhere and make one of these for Emahry and Jonathan. With a little training I'm sure the mess would be fairly minimal and at least rice is easy to sweep up and cheap. :: Does the new year have you stressed out? Head over to Keeper of the Home to read about dealing with stress naturally by using Herbs that Calm. Chamomile and Catnip are my two new favorite teas. Have you come across any "good reads" this week? Feel free to leave links in the comments section. When we were invited to a chili themed open house, I decided to try a new cornbread muffin recipe. I found this recipe and added it to my New Recipes to Try List. 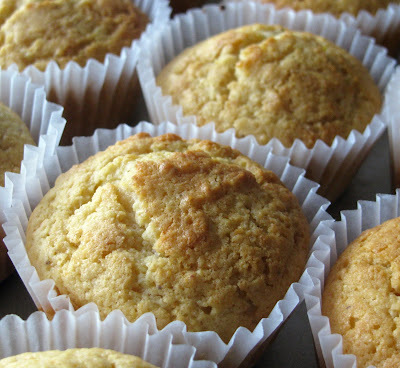 Yesterday, we altered the recipe and whipped up these easy cornbread muffins. Try them some time...they're delicious! Make a well in the middle of the dry ingredients and add the rest of the ingredients to the center of the well. 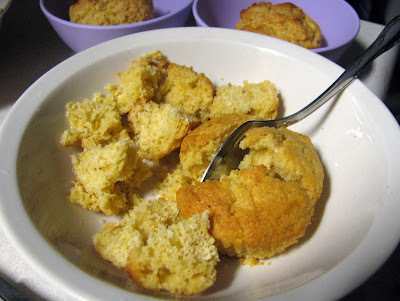 Spoon mixture into paper muffin liners or into greased muffin pan. Bake in 350° preheated oven for 15 minutes or until tops are golden and toothpick inserted in the middle comes out clean. We really enjoyed these with chili last night. Some of the leftovers were used for breakfast this morning. 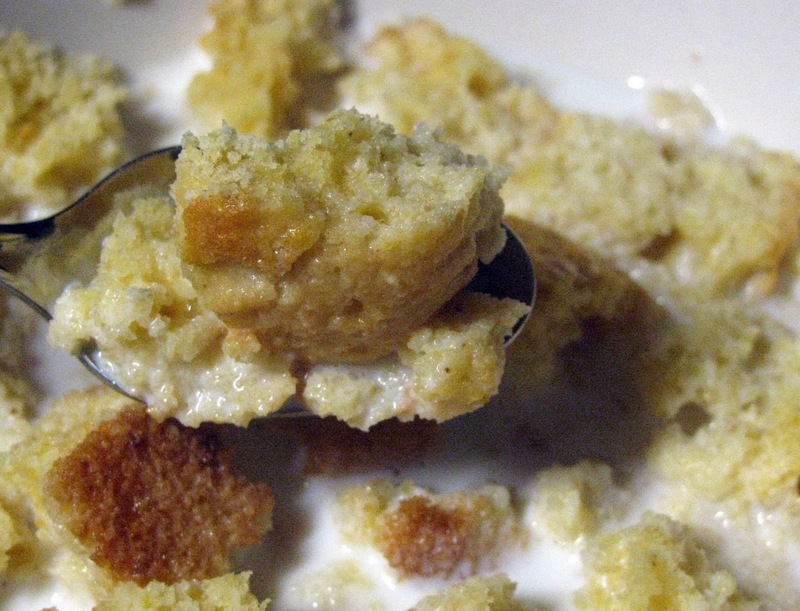 Simply place in a bowl, mash with a spoon, and cover with warm milk...YUMMY! Are you expecting a little bundle of joy or desiring to switch from disposables to cloth diapers? My biggest suggestion...take time to try different diapers and decide what works best for you and your baby before you purchase an entire diaper stash. Sounds great, but what do you do in the meantime? What would you say if I told you you could begin cloth diapering your baby at home for only $20 without having to do any sewing? We've now used this method on two babies and have had great success. I think this is a great way to buy yourself some time to figure out what works for you as far as cloth diapering goes. Our family has finally settled into pocket diapers for when we're on the go and waterproof diaper covers over prefolds when we're at home. However, we still use this method of diapering Eliya while we're home and love how quick, easy and inexpensive it is. The Gerber ones (think burp cloths) from large chain stores work fine for newborns and young babies. You'll need to add to this number as your baby gets older and becomes a heavier wetter, but 12 to start out should work fine. If you want to only wash diapers every other day, you'll need to start out with 24 prefolds. We love our Snappis! These are typically available at most cloth diaper stores or on Amazon. The inexpensive ones from the dollar store work fine. Not calculated into the cost because I assume most babies have these in their wardrobe. Here's a quick video of how this method works. In the video Eliya is sporting a pair of Jonathan's training pants for modesty's sake. You would start with your baby bare from the waist down. 1. Start with the fleece blanket folded into a triangle, the long edge at the top. 2. Place your prefold diaper on top of the blanket, fold the top part down to make it fit your baby's rise. 3. Place your onesie clad baby on top of the diaper with the top of the prefold slightly higher than your baby's waist. 4. Fasten the prefold using the Snappi or pins. 5. Bring the bottom corner of the blanket up between baby's legs making sure to cover the entire front of the diaper. 6. Wrap the right corner of the blank across baby's front and tuck it behind their left side. 7. Repeat with the left corner. 8. Adjust the onesie to cover the fleece "diaper cover" and fasten the bottom snaps. When your baby's diaper is wet the fleece will begin to feel damp. When this happens, simply undo the onesie, unwrap the fleece and change the prefold. As long as the fleece isn't soiled or wet you can reuse it for a few diaper changes. Do you have any suggestions for cloth diapering on a limited budget? Leave us a comment, we'd love to hear them. You'll notice that all of these recipes are to bake. I can't help it. I bake because I LOVE baking. Can anyone else relate? If this was my husband's list it would be the exact opposite. I guess opposites do attract. 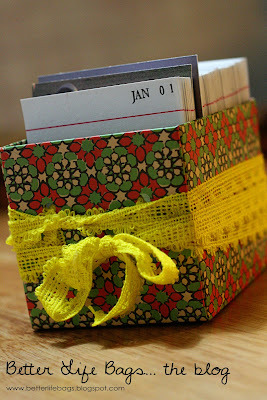 I recently saw this adorable perpetual calendar journal at Better Life Blog. She used this tutorial from Design Sponge. While I loved the look of their finished projects, my favorite part was the fact that each day's activity is recorded in the same place every year. That way in two, three, or ten years you can look back and see at a glance what happened on that date over the past years. I was a little concerned that in a home with many small children, the index cards in a box, while pretty, would not be very practical. The thought of trying to reorganize 365 index card into chronological order made me search for an alternative. For me, I thought a nice journal style would work better. I also love the fact that I could use up to a few lines for each day in case it was really eventful. It appears as though I'm not the first to think of this as you can purchase your own 10+ Year Journal here. Would you like to make one, too? It's very easy and can be completed for a fraction of the cost. For this project any journal will work, but I'd lean towards that nicer quality ones since it will be used for such a long time (hopefully). 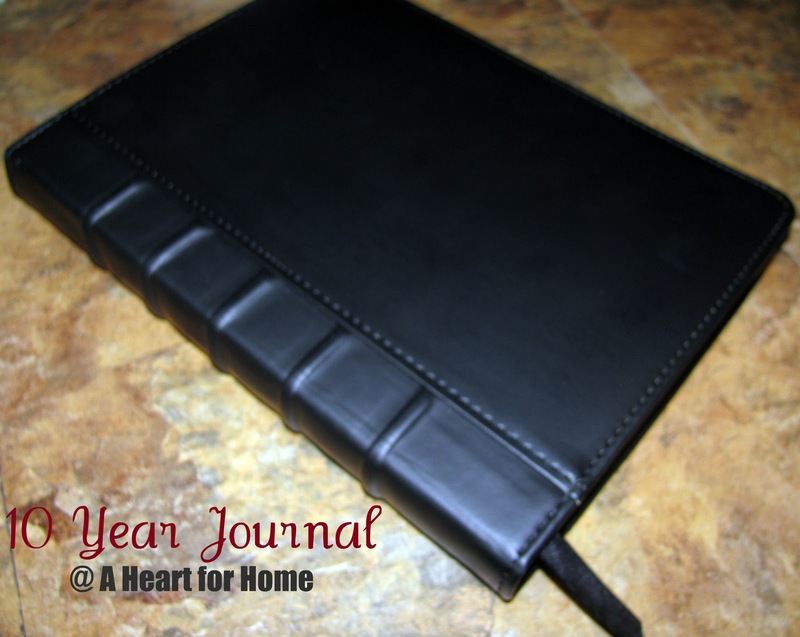 Make sure your journal has at least 365 pages (one for each day). As I discovered, journals do not count each individual page, but typically count the front and back as two separate pages, like a book instead of a notebook. Don't make the mistake I made and purchase a journal with 192 pages thinking that it is actually enough...it isn't. Lesson learned = count the pages before you purchase the journal and leave the store. The second journal I purchased has 400 pages and was found at Walmart for just under $13. It's more than I would normally spend, but I figured that the cost actually came to about $1.30 per year and that wasn't so bad. At this point you could simply write the date at the top of each page. Make sure you just write the month and day/date not the year or day of the week. Example = January 1 ( Jan. 01) or March 13 (Mar. 13) not January 1, 2010 or Saturday, January 1. Since I had access to small letter stamps I stamped each month's name. I'm still looking for small number stamps to add the dates, but just imagine the dates are stamped next to the month :) I chose to place the date towards the top left corner of each page so that the date on the back of the page wouldn't interfere with the date on the front. If you have access to a date stamp (like libraries used in the past) you can easily add your dates. Just make sure you turn the year to the blank space. Also make sure you add February 29th even though there is no 29th of February this year! You can also mark special days, birthdays, anniversaries, etc. by writing them at the top of the page. You're done! I told you it was super quick and simple! Now when I write my entry for each day I'll just add the year followed by a colon and then write the entry. Count your lines and divide by ten to see how many lines you can use each day. My journal has 29 lines (not counting the very top where the date is stamped) so I'll use up to 3 lines for each entry. I'm definitely keeping this idea in mind for gift making/giving and will be looking for journals on sale throughout the year. I think this would be a great gift for any busy woman or mom! 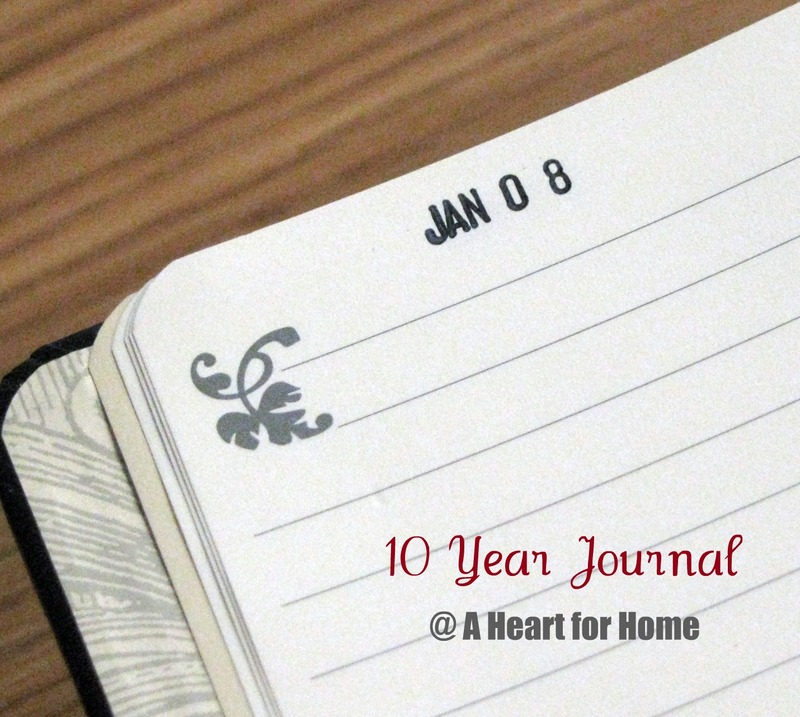 Have fun making your own 10 Year Journal and preserving memories for years to come. P.S. ~ We'd love to see your finished projects!